The population growth problem is a rather controversial topic so let’s start somewhere neutral where no dilemma exists. The industrial revolution started in the mid-18th century. This single event drastically altered the course of human history, and in many ways irrevocably affected all life on this planet. It is the latter of these that we will address here. Prior to this pivotal event, the growth rate of our world’s population had been minimal. It required approximately 1800 years to go from an estimated population of 300 million to 1 billion in the year 1804. Shortly after this, during the industrial revolution, the rate of increase itself began to escalate. and last, 12 years to reach 7 billion. Our population cannot continue to expand at this rate without our incurring serious consequences – both for ourselves and for the planet as a whole. Current projections foresee this escalation to continue for now, with our numbers reaching 8 billion in about 2022. However, current computer models predict a decline in the growth rate after this. It is projected that it will require an additional 28 years to attain a population of 9 billion – in the year 2050, and another 50 years to reach 10 billion in the year 2100. But do not let these numbers lull you into complacency. The models consider multiple factors. Shortly after passing the 8 billion mark, without massive improvements in our ability to feed our population, hundreds of millions of people will face a slow death from starvation due to inefficient food distribution every year. There is enough food for everybody on the planet but we waste about a third of it, and then we are rather bad at distributing it. Yes, this will serve to decelerate our explosive population growth problem, but for those who are suffering it is hardly an equitable solution. So what do we do to address this issue of an unsustainable population growth rate? There are many potential approaches to the population growth problem but some are extremely controversial. I do not promote any of these herein; I will merely list them for your consideration. Increasing the productivity of our farmlands is the most common approach. Yet, it has many detracting factors as well as drawbacks to consider. As our cities grow and expand, it becomes a matter of inverse proportions. More land taken for habitation means a reduction of arable land available for the growing of crops and biodiversity. Thus, ever increasing demands will be made upon farmland that is already at or beyond its capabilities. In some areas the land has been so abused that it no longer contains the necessary nutrients to grow anything at all, much less produce nutritious crops. 2. A variety of methods to improve output such as newer chemical-free or less-chemical pesticides to reduce insect-derived crop losses, for example. But, in the opinions of some, these are often “worse” than the enemy they should fight. How could they be though? Alternatively, some have suggested genetic modification. This, however, is a bad choice. It is extremely risky and controversial as well. Read more here: What are GMOs? The bottom line is simply: barring some revolutionary discovery or development in this area, we are just about at the limit of what we can do to improve our output with existing resources. 3. A variety of new ideas are present, and some do seem promising. Hydroponics is perhaps a method that might, with improvements, be helpful if popular on a larger scale. One new method under testing, and thus far, with some promising results, involves growing crops in a controlled environment, without soil. The plants grow in vertical racks with their roots being routinely sprayed with a precise mixture of water that contains all the nutrients that they require. Crops have thus far yielded excellent results, including an increased number of harvests per year. Another method being tested involves constructing vertical farms. Picture a 20-30 story tall structure consisting of open air levels, each filled with soil and growing crops. Obviously; the idea is to expand farmland upward instead of outward. This concept holds great promise; especially since it additionally provides shelter to many birds who otherwise might be eradicated because they roost in areas where they are not wanted. 4. And of course, there are those who argue for the artificial controlling of the rate of birth itself. This is without doubt the most radical and controversial of all. Be it because of religious beliefs, cultural ideas, personal philosophy, or a plethora of other potential reasons, this idea would be, ironically, the most easily actionable solution to date. Whether you support this or not, the facts are incontrovertible in the opposing cases of China and India. China has long borne the brunt of rhetoric concerning the population growth problem, it is true. However, after the government implemented the highly controversial limit on births allowed, their prodigious population growth rate began to slow. Conversely, India has no such restriction, and their birth rate has continued to escalate. 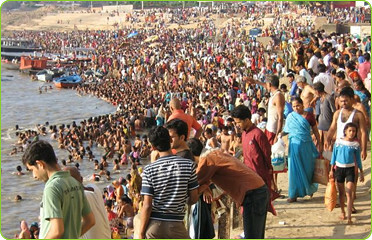 The latest projections indicate that will surpass China as the most heavily populated nation on earth in the year 2025. Whether it be through increased food production, controlled birth rates, or a combination thereof, we must deal with the population growth problem in the near future. If we do not, we doom hundreds of millions of humans to death unless a massive change in food distribution occurs. Highly unlikely though – lots of vested interests. Additionally, the overcrowding in our larger cities, is already a major contributor to crime. It will cause them to bear the brunt of an ever escalating crime rate, as social pressure mount due to overcrowding. The population growth problem (and the resulting stresses it places upon social structure that accompany it) is a phenomenon that threatens the very fabric of our civilization. We have a choice that is simple in description, yet infinitely complex in solution: either find a way to adequately feed ourselves by redistributing food and making food actually nutritious, or else reduce our numbers. The population growth problem is real. How we proceed is up to us. I would also attribute the increase in population to the era of modern medicine. As this video (http://www.youtube.com/watch?v=4BbkQiQyaYc) points out, the population levels were relatively stable until the mid 1950’s. After this point, the population exploded like bacteria in a petri dish due to decreases in infant mortality rates and our newfound ability to live longer. This enabled our population to consume more resources for a longer period of time. The irony is that for all the good these medical advances have done, humanity (and the planet) will most likely suffer overall. Once the population gets to a point where the rich countries need to protect basic resources like drinking water, that’s when you will see the long term effects of our obsession with living longer lives and having as many kids as we can for whatever cultural excuse we have embedded in us (blood line continuance, rural family life, contraception outlawed by religion, etc…). I for one am hopeful that we can avoid resource wars through the development of new bio technologies that will allow us all to get back into equilibrium with our planet. I am however wary that the more likely outcome of our consuming nature will be that the industrialized nations will protect resources by force.